Posted on January 29th, by mad121704 in Firm News & Events. Bryan has more than 20 years of public accounting experience, and provides audit, advisory, consulting, and due diligence services to clients in a variety of industries, including commercial services, consumer products, technology, biotechnology, private equity funds, hedge funds, and broker dealers. He provides these services to both SEC filers and private companies. Bryan has experience in business combinations and valuations, mergers and acquisitions, reverse mergers, revenue recognition, equity-based compensation, initial public offerings, secondary offerings, and debt offerings. He has significant experience providing guidance to clients on issues related to SEC rules and regulations, U.S. GAAP, and IFRS. 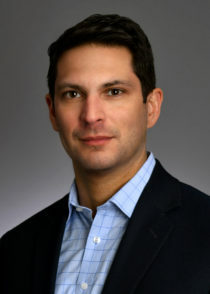 Prior to joining Hoberman & Lesser, LLP, Bryan was a senior manager for KPMG providing both audit and advisory services.